Legend was one of my fave films when I was younger, although when I re-watched it not too long ago I realised how scary it is! Ah this post is amazing, the headband is so cool! Unicorns shouldn't be a trend, they should just be. Wanting that bag for ages. mitmachen möchtest. Bei dieser Aktion muss man KEIN Leser sein, wenn du Lust hast kannst du ja teilnehmen oder einfach nur für deinen Favoriten voten. Liebe Grüße! 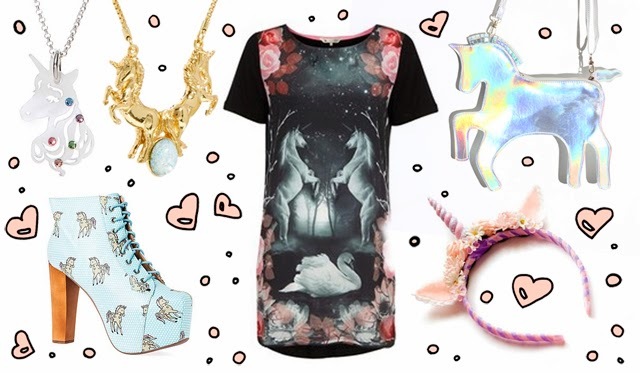 That silver unicorn bag is adorable and I'm pretty sure I need that headband as well.